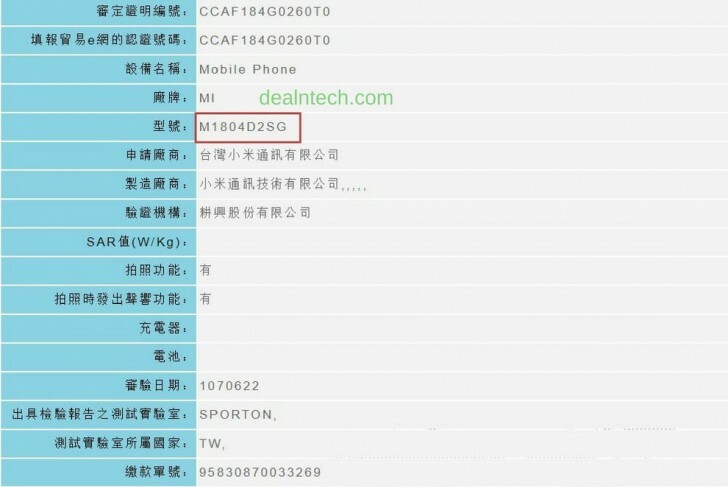 After the Mi A2 appeared unexpectedly in Switzerland, the latest NCC certification suggests that it may launch soon in Taiwan as well. It also means that the device is bound to hit the Indian market very soon. The listing doesn't say Mi A2's marketing name but mentions the model number, which is similar to the Chinese version, Mi 6X. The model number is M1804D2SG and complies with the Taiwan's carrier standards. Specs should be identical to the Mi 6X, but instead of using Xiaomi's MIUI, it will deliver stock Android OS. Judging by last year's release date of the Mi A1 launching a month after the Mi 5X, the Mi A2 should come very soon as the Mi 6X debuted in April this year. i don't care about headphone jack as i can use Bluetooth earphone, i hate wired earphone, but absent of micro SD card slot is a big no no. Better get a Nokia as i gets faster update & Micro SD card slot, not forgetting better camera too.